Originally a tradition in Europe, Christmas markets not only serve as a place to score some holiday cheer but also act as a central location for locals to eat, drink and catch up with friends. With vendors selling anything from sausages and schnitzels to baubles and handicrafts, each market has it’s very own flair with singing and dancing to warm the heart. Now these markets are finding their way across the Atlantic and, for good measure, have a little taste of the old world without digging out your passport. 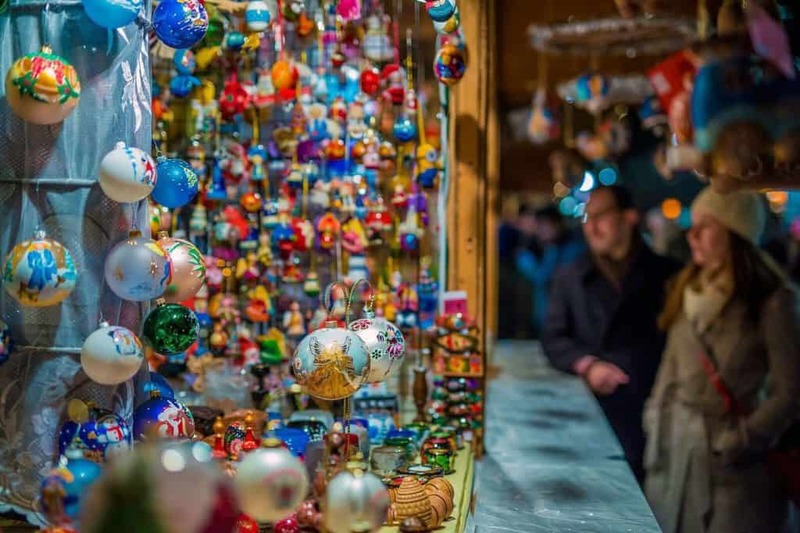 We can’t think a better way to get into the holiday spirit than sipping mulled wine or hot cocoa and walking from stall to stall in a Christmas market, so we’ve rounded up our picks of the neatest and most authentic markets around the country. 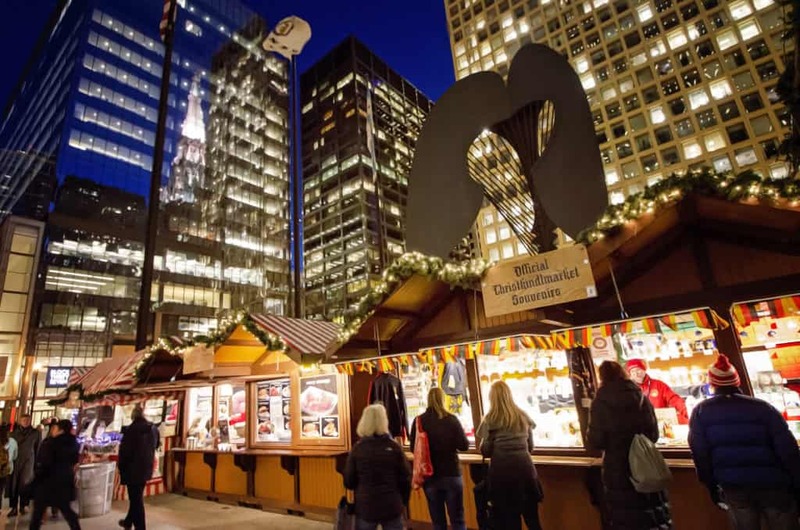 One of America’s oldest markets, Christkindlmarket transforms Chicago’s Daley Plaza into a festive celebration of all things Christmas. While not exclusively German, you will absolutely be able to sample some wurst and gluhwein while browsing the European crafts and collectibles. For the entire month, Philly’s famed Love Park and Dilworth Park outside City Hall is host to the city’s Christmas Market where bratwurst, Belgian fries, and strudel are on the menu. You can even snap your holiday pic in front of the LOVE statue with your honey to really get into the spirit. 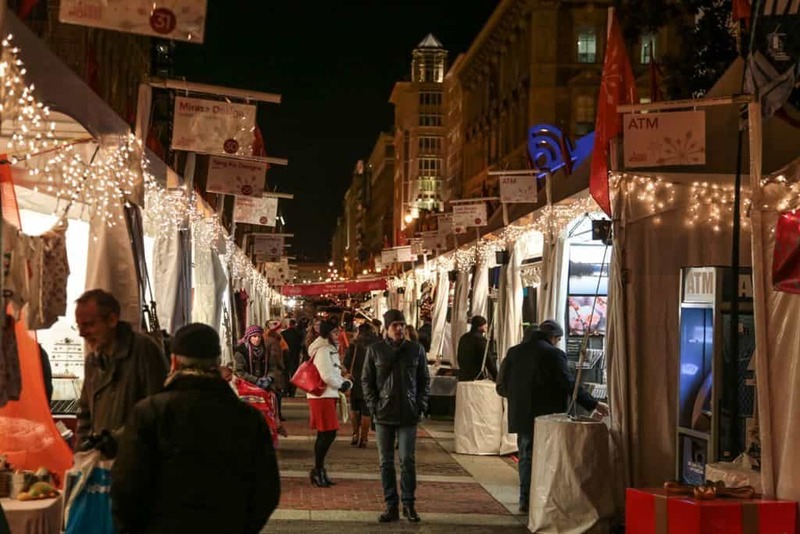 If you’re headed to our nation’s capital, you can pick up some rare German treats to fill your stocking at DC’s Downtown Holiday Market. With imported goods and festive goodwill, this market can get a bit crowded, but it will be all worth it when you find that perfect snack. 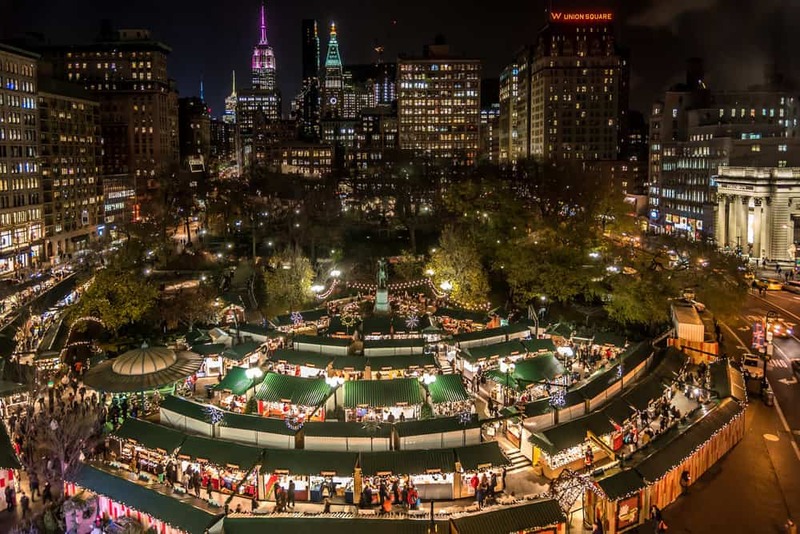 New York City’s historic Union Square gets a festive makeover with 100s of vendors selling crafts and unique items from around the globe for it’s annual Holiday Market. This year, a little slice of New York is showcased with Little Brooklyn, a borough-themed section for a more hipster Christmas. Pro Tip: They have warming stations here for when the temps drop too low — use if necessary!